(MENAFN - GetNews) The GCC LED lighting market has witnessed robust growth over the past several years. The demand for LED lighting systems is rising in the GCC countries as the governments are encouraging their adoption to reduce energy wastage and phase out all inefficient forms of lighting. According to the latest report by IMARC Group, titled 'GCC LED Lighting Market: Industry Trends, Share, Size, Growth, Opportunity and Forecast 2019-2024, theGCC LED lighting marketreached a value of SAR 5.8 Billion in 2018. LED lighting is an energy- and cost-efficient option that allows for more innovative applications than traditional lighting.With the growing tourism in the GCC countries, there has been a rise in the construction of malls, hotels and public transportation systems. 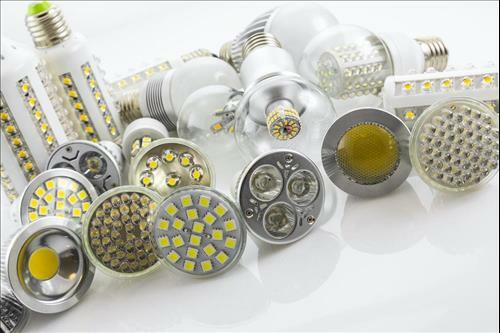 The growing construction activities have led to a huge demand for LED lighting systems as they produce more light per electrical watt and have longer lifespan than incandescent lamps. Moreover, rising awareness among consumers about the benefits of LED lighting has also increased the demand for these systems in the GCC region. The growing number of mega projects planned by the governments of various gulf countries is expected to increase the demand for LED lighting in the GCC region. Moreover, the governments of various GCC countries have implemented several measures, such as adopting global energy-efficiency standards, promoting use of LED lights and imposing additional import tariffs on inefficient general illumination lamps. For instance, Dubai's outdoor lighting program aims to reduce energy consumption by retrofitting 75 per cent of lighting systems across the country's roads, streets and parks with LED fixtures. In addition to this, Oman is using advanced architectural lighting designs featuring linear and underground LED lighting fixtures in the new parliament of the Sultanate of Oman. Looking forward, the market is projected to reach a value of SAR 13.9 Billion by 2024, expanding at a CAGR of nearly 15% during 2019-2024. Based on product types, panel lights represent the most popular type of LED lights in the GCC. Panel lights are followed by down lights, street lights, and others including bulbs, tube lights, strips, flood lights, high mast lights and spot lights. On the basis of end-users, the market has been segregated into the commercial, residential and industrial sectors. Amongst these, the commercial sector dominates the GCC LED lighting market, holding the largest share. The market has also been segmented on the basis of applications into indoor and outdoor applications. Currently, the majority of LED lights are used for indoor applications. Region-wise, Saudi Arabia exhibits a clear dominance in the GCC LED lighting market, accounting for the majority of the overall market share. It is followed by the UAE and Qatar. The GCC LED lighting market is highly concentrated in nature with the presence of three top manufacturers operating in the market Philips, General Electric (GE) and Osram. IMARCGroup is a leading market research company that offers management strategy and market research worldwide. We partner with clients in all sectors and regions to identify their highest-value opportunities, address their most critical challenges, and transform their businesses.